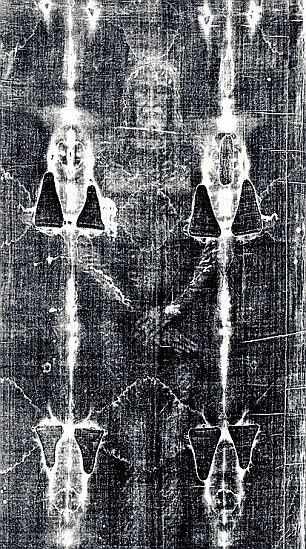 In a stunning new development in the long history of the Turin Shroud, scientists have found evidence that it is stained with the blood of a torture victim, supporting claims it was used to bury Jesus. If it was a ‘medieval forgery’, those responsible could not possibly have known that, one day, such technology would exist, so the new findings provide perhaps the strongest evidence yet that the Shroud is GENUINE! The linen cloth, believed to have been used to wrap Christ’s body after crucifixion, contains ‘nanoparticles’ which are not typical of the blood of a healthy person. Elvio Carlino, a researcher at the Institute of Crystallography in Bari, Italy, says the tiny particles reveal ‘great suffering’ of the victim ‘ wrapped up in the funeral cloth’. These particles had a ‘peculiar structure, size and distribution,’ added University of Padua professor Giulio Fanti. He says the blood contained high levels of substances called creatinine and ferritin, found in patients who suffer forceful traumas like torture. 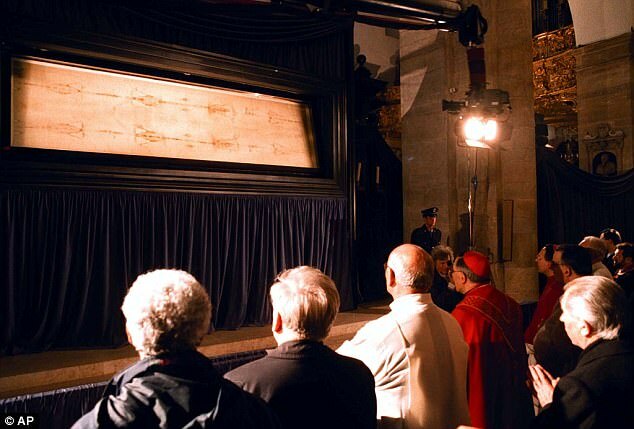 The Shroud of Turin measures around three metres by one metre and contains a faintly stained image of a man which Christians believe depicts Jesus. The shroud is currently displayed at St John the Baptist Cathedral in Turin. During a visit to the city in 2015, Pope Francis paused in silent prayer before the Shroud.